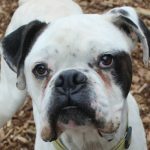 Many families that apply to adopt a boxer from us have children. 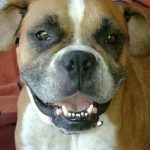 We take great care in how these applications are processed. 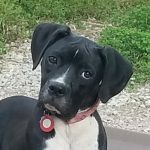 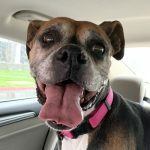 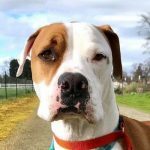 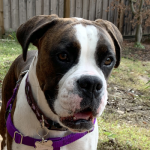 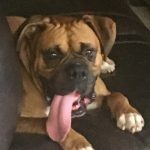 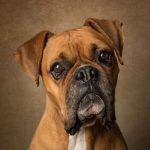 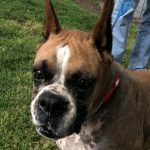 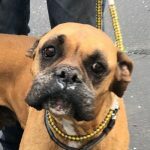 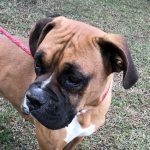 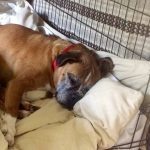 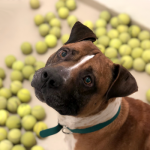 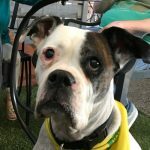 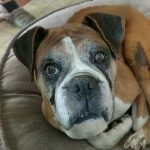 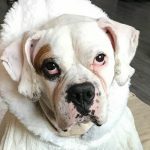 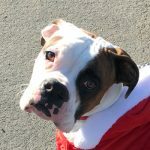 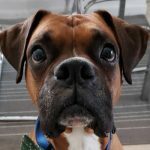 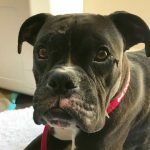 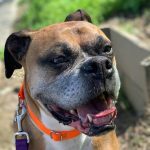 In most cases, the dogs in our program have no known history prior to being placed in foster care, and while we understand that boxers are generally regarded as a great choice for a family pet, we also must take added precautions to ensure the safety of both the dogs we place and the children in the home. 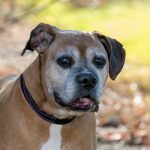 As such, we have an additional set of questions on our adoption application that we ask applicants who have children under the age of fifteen (15) years to complete. 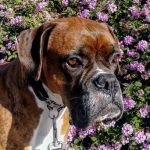 Applicants will not be approved to adopt from NCBR unless they subscribe to the beliefs and policies expressed on this page. 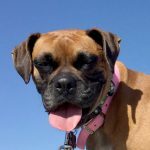 Our reason for these additional questions is to determine the applicant’s understanding and tolerance of dog behavior. 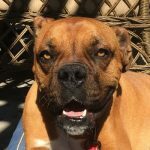 In addition, we ask these questions so we can determine if we can safely place one of our boxers into the home. 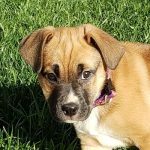 In order for us to feel comfortable placing our dogs into homes with children, we need adopters to understand dog behavior. 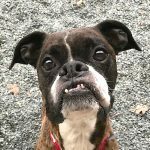 For example, adopters must understand that a growl is a dog’s cry for help and should not ever be labeled as an expression of “aggression.” Growling is a dog’s only way of telling you that he or she is not comfortable with the current situation. 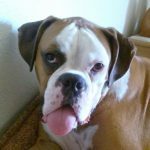 As it relates to dogs and children, there are many situations where it is indeed not only acceptable, but preferable for a dog to growl. 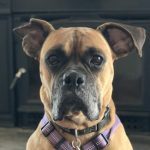 A growl is a warning, and parents must address the source of the dog’s distress rather than punishing the dog, discouraging it from growling, or labeling it aggressive. 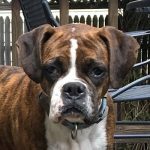 All dogs, even the most tolerant and friendly, will bite in the right circumstance. 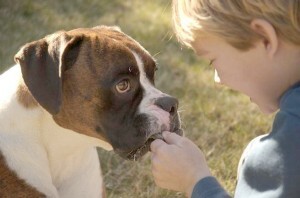 Therefore, if you punish and succeed in suppressing your dog’s warning signs, you will teach your dog to bite without warning. 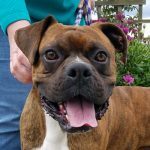 Exceptions to our policy may be made after initial application is approved and the additional child questionnaire is answered to our satisfaction and when any one of the following criteria is met. 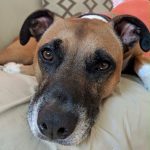 You are a previous NCBR adopter. 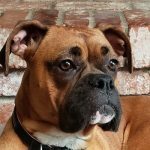 You have a history of boxer or large breed ownership. 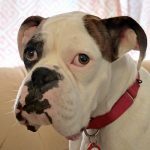 You have satisfactorily answered the application questions pertaining to children. 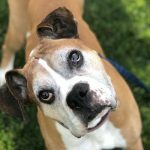 There are any children in your home under the age of 6, and you do not meet any of our exceptions listed above. 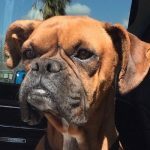 You are expecting a child. 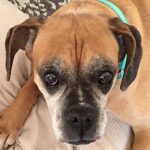 You do not subscribe to the beliefs and policies expressed on this page.